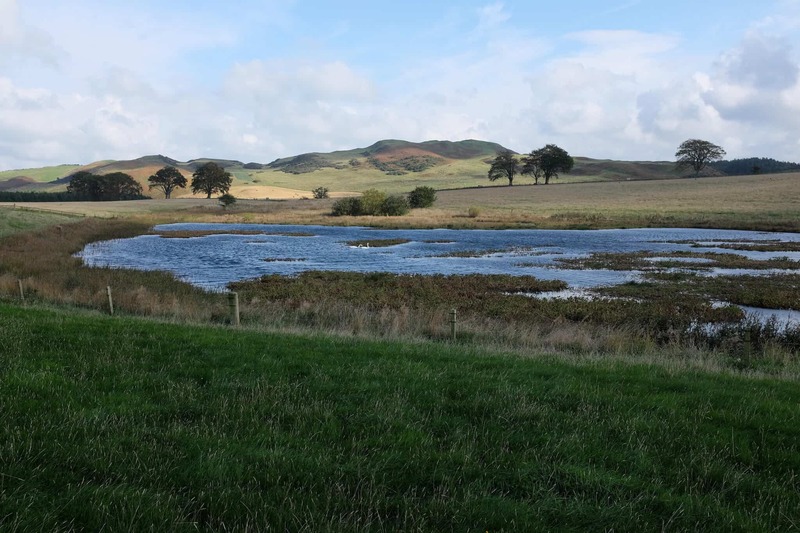 Long distance walking in the Scottish Borders country with The Borders Abbeys Way. 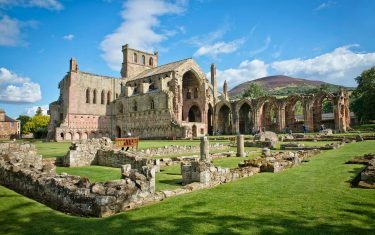 The route links the impressive abbeys of the area, through some of the most beautiful walking in Scotland, all at a relaxing pace. 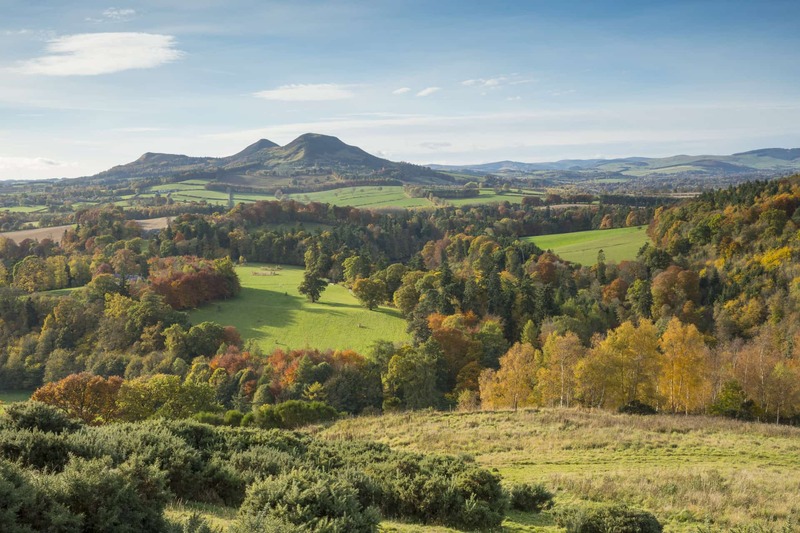 The trails winds through a landscape of rounded hills, blanketed in heather – a landscape beloved of Sir Walter Scott and rich in history and folklore. 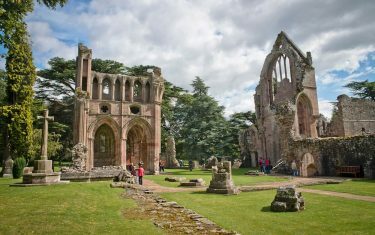 The Border Abbeys Way walk links historically significant 12th Century abbeys placed at Melrose, Dryburgh, Jedburgh and Kelso. 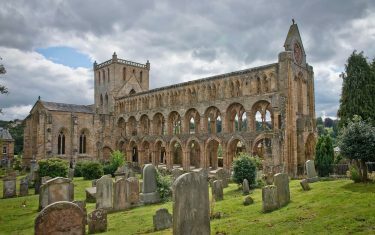 The abbeys have held host to a long history of travellers throughout the ages. On quieter paths, you can trace the medieval routes of monks between the four Borders Abbeys. 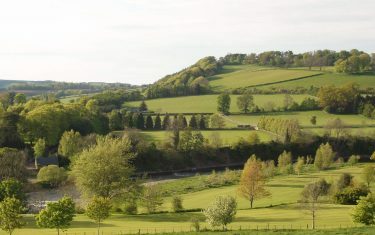 The route goes through farmland, forest and across high moorland with fantastic panoramic views over the surrounding hills. 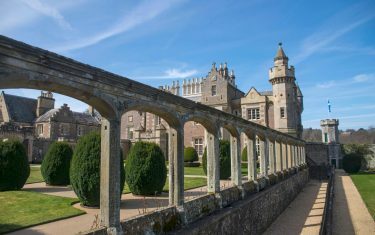 Take the ascent along old drovers' roads as well as the tracks and escape routes of the notorious 15th and 16th century Border Reivers. 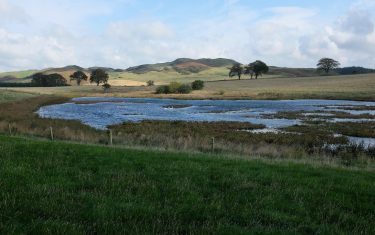 The final section of your walk along the riverside paths of the Tweed meets its confluence at the River Teviot, past Kelso. From here, the path follows the River Teviot most of the way back to Jedburgh. 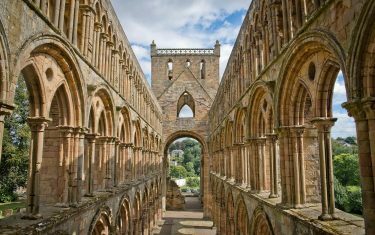 This walk is also an opportunity to explore the charming historic market towns of the Borders; Jedburgh, Selkirk, Melrose and Kelso, with its impressive Georgian buildings arranged around a cobbled market square. 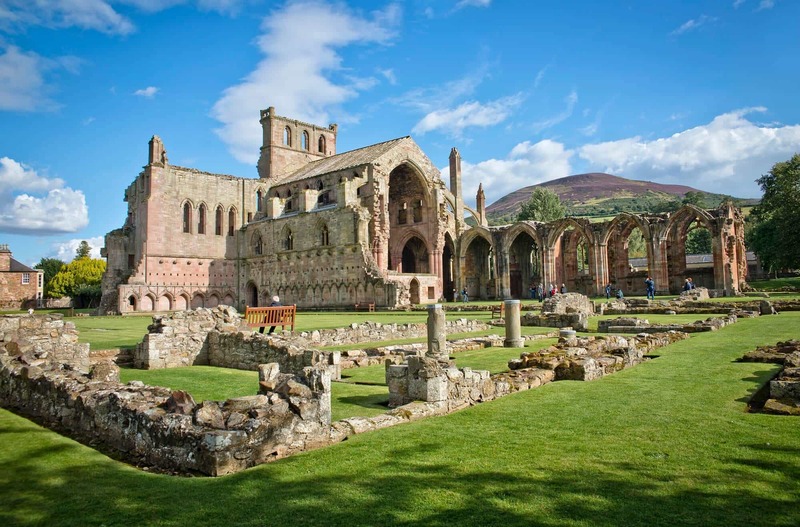 Melrose, is often cited as the loveliest of all the Borders towns, and at Melrose Abbey lies buried the casket containing the heart of Robert the Bruce, King of Scotland and victor of Bannockburn. Sights of historic Scottish interest are manifold along this route: Mary Queen of Scots’ House; Jedburgh Castle; the views of Floors Castle, a fairy-tale castle of turrets, and cupolas overlooking the Tweed; the shattered remains of Roxburgh Castle, once the strongest fortress in Scotland; wonderful viewpoints of Black Law, the Bishop’s Stone and Cauldshiels Loch; and a visit to newly opened Abbotsford, the delightful “Conundrum Castle” built by Sir Walter Scott on the banks of the Tweed, all make this a walk to remember. River banks, farm track and minor roads, with the going fairly gentle underfoot. 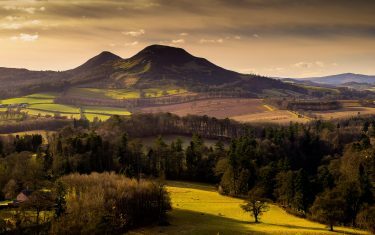 Occasionally there are more strenuous sections following old cattle droving paths up the slopes, but these are generally rewarded with extensive views over the Eildon hills. 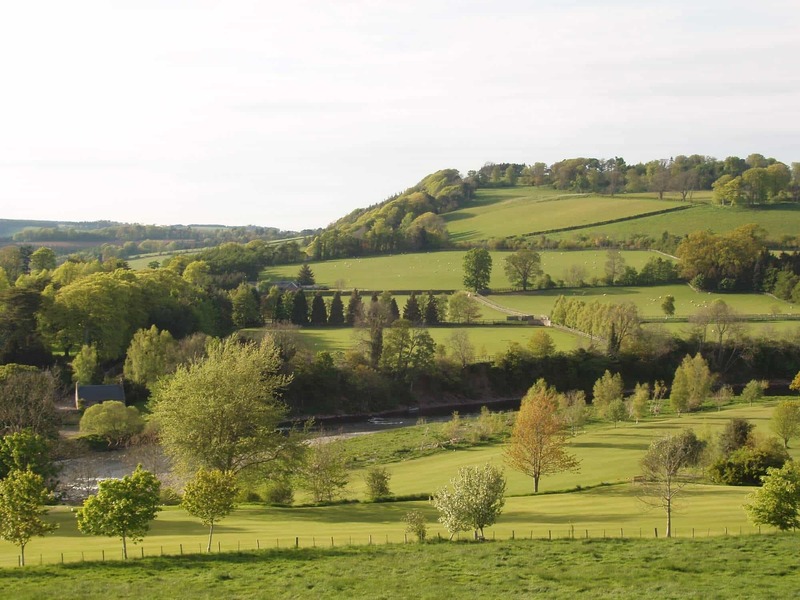 Long stretches of this route are along the banks of the rivers Tweed and Teviot. Your path begins where the Teviot and Tweed converge, breaking off from the confluence to follow the Tweed toward Hawick. Past the old gaol, this section up to Black Law is the largest ascent of the entire route, with further climbs up to Selwick. From here on the terrain is more level. 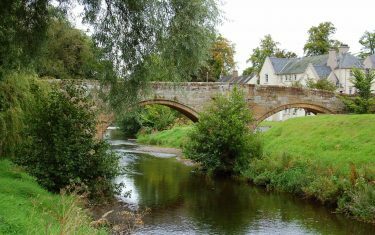 Walking from Melrose to Kelso, the route follows the river Tweed, and its worth taking a detour at St Boswell's to visit The Temple of the Muses. Back into Jedburgh, the route follows alongside the river Teviot, before continuing along old railway line. Itinerary Information: 7 nights accommodation with 6 walking days. 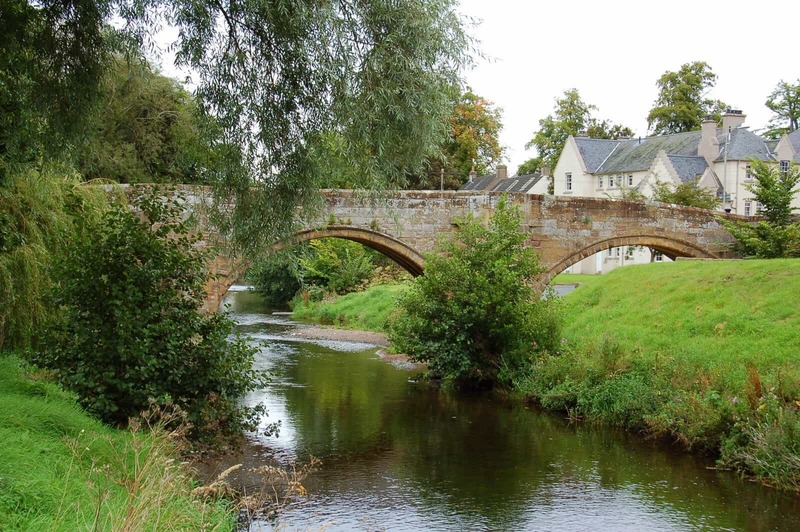 Arrive in Jedburgh on day 1, walk from day 2 and depart from Jedburgh on morning of day 8. Departure Dates: This itinerary can be walked any time between Feb to Oct. You simply choose which day you would like your holiday to start on. Itinerary Information: 6 nights accommodation with 5 walking days. 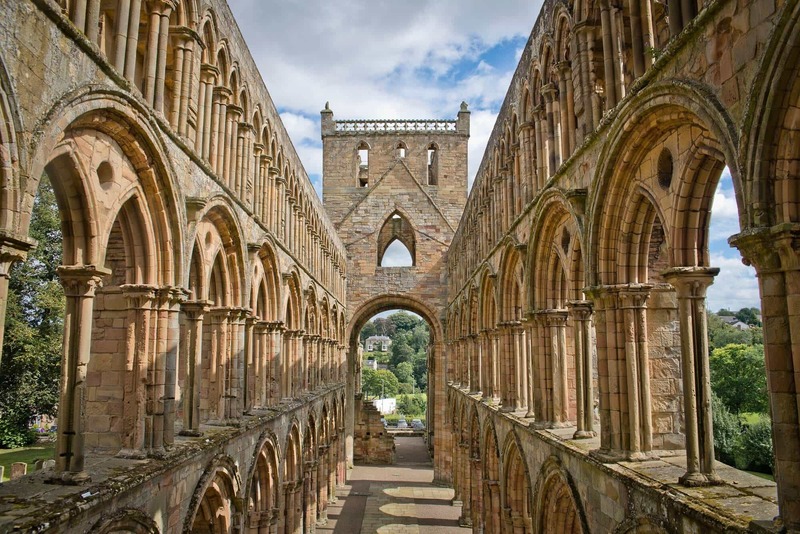 Arrive in Jedburgh on day 1, walk from day 2 and depart from Jedburgh on morning of day 7. Itinerary Information: 8 nights accommodation with 7 walking days. 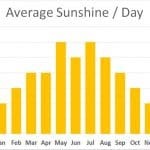 Arrive in Jedburgh on day 1, walk from day 2 and depart from Jedburgh on morning of day 9. 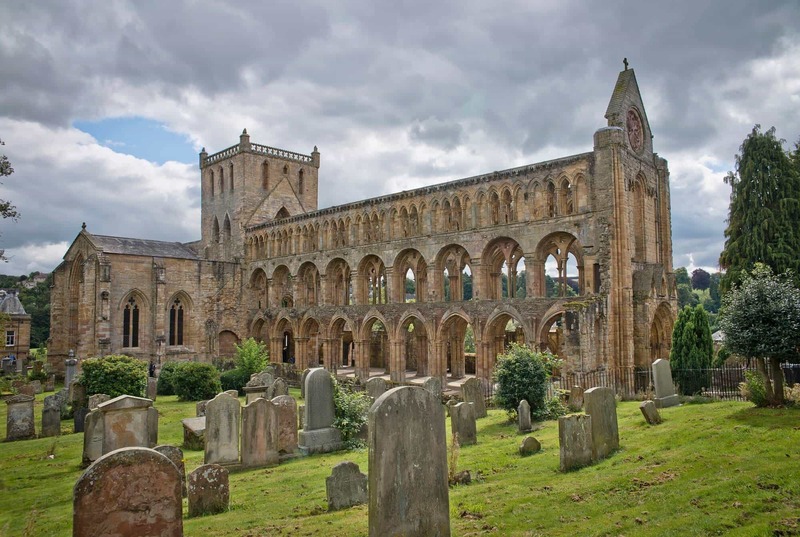 Our accompanying guide book describes the route from Jedburgh to Jedburgh. 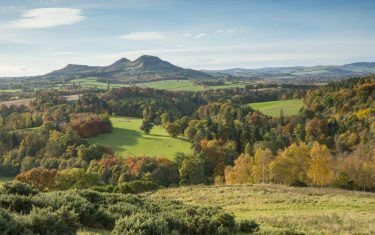 However, as this is a circular walk we are also very happy to start any of the itineraries at Melrose instead if preferred. There is also an optional rest day to explore the local area at your leisure, where we will require a supplement of £45:00 per rest day. 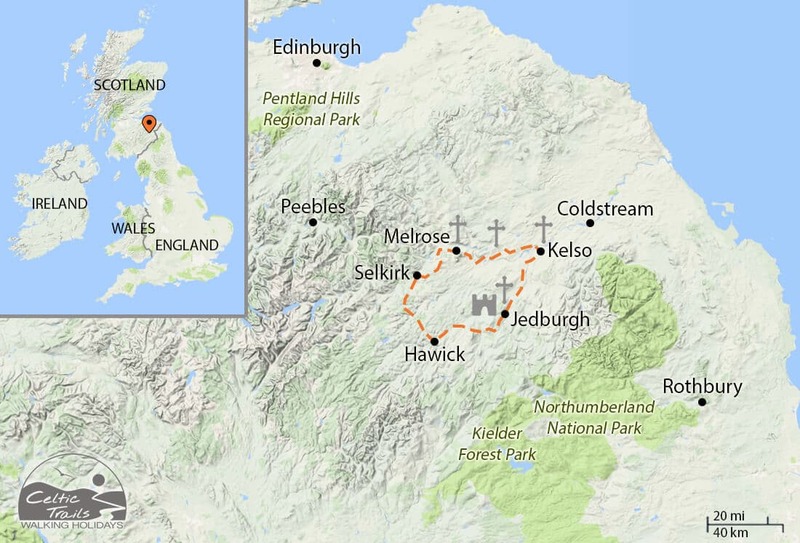 The bus from Berwick upon Tweed to Jedburgh takes just under 3 hours. A taxi transfer can be arranged from Berwick upon Tweed to Jedburgh (55 mins), at approximately £60. 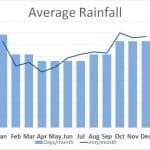 This area is generally less exposed than other walks in the same area, but out on open moorland you may find it difficult to make quick progress in harsher weather conditions. Avoiding the winter months on this walk should put you in good stead to observe the abbeys on this route in all the glory, without having to contend with limited daylight hours. All accommodation choices were very good. Our luggage and personal transfer were all carried out as arranged. All carried out as arranged. "I enjoyed fine views in peaceful countryside which is remote with small towns, all with their unique character at the end of each day. Celtic Trails is probably the best!" 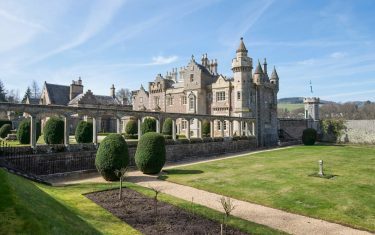 From Selkirk to Melrose you may want to consider setting aside some time to visit the former stately home of Sir Walter Scott. 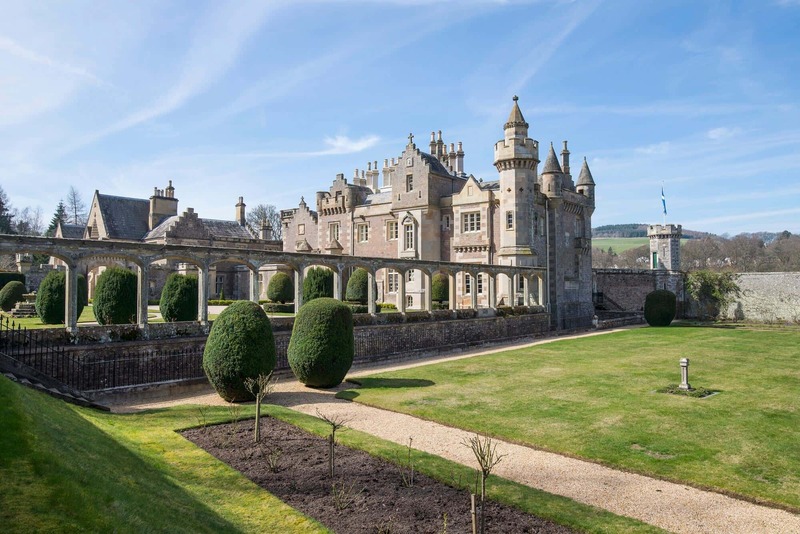 Abbotsford house has only recently been opened to the public and as well as giving an insight into the life and tastes of one of the areas most famous figures, the estates sprawling woodland and gardens are worth a visit. 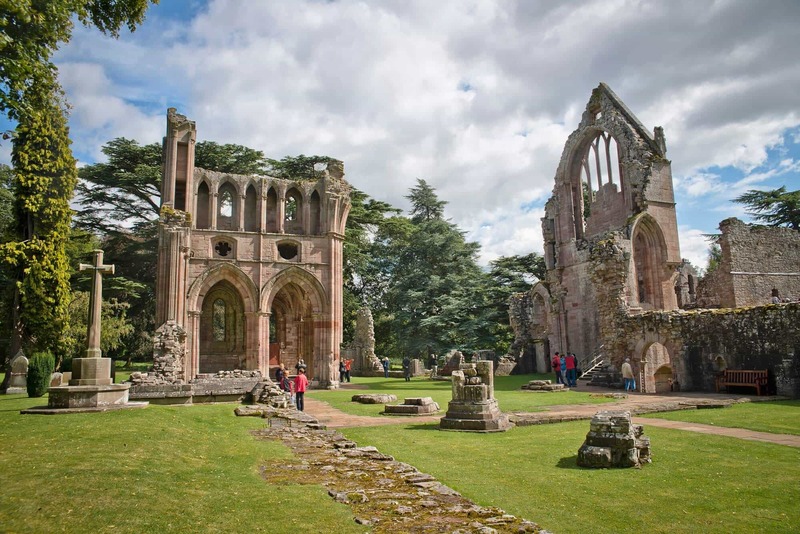 Dating from 1136, Scotland's first Cistercian monastery cuts an imposing figure on the path into Melrose, on the Selkirk to Melrose section of our itinerary. 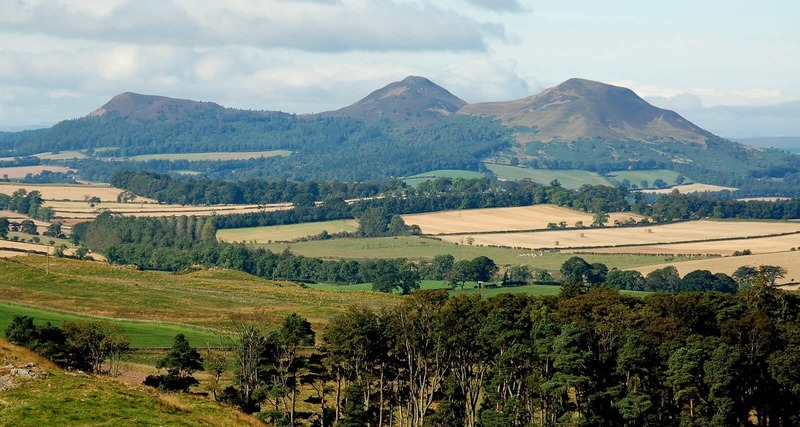 The final resting place of Robert the Bruce has seen numerous conflicts, typical of the borderland region. 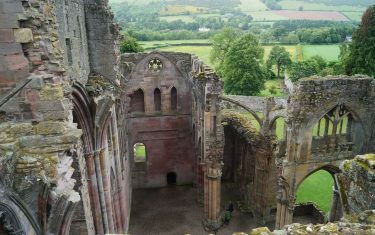 The structure of the abbey has suffered from battles waged up until the 16th century, with Walter Scott proving instrumental in its preservation from the 19th century onwards.